The Trust’s 2017 AGM was held at All Saints, Lydd on May 13. 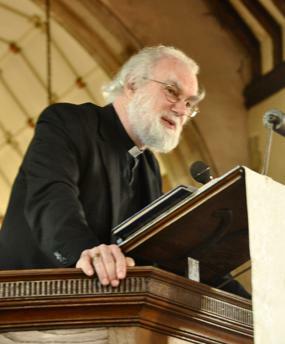 Our speaker was the former Archbishop of Canterbury, Dr Rowan Williams now the Right Reverend the Lord Williams of Oystermouth, PC, FSA, FRSL, FLSW. A copy of his interesting address was published with the Chairman’s Autumn Newsletter distributed to all members.